This tiller is the First Choice RT04 series which offers you the best value for your money in the industry. This has an adjustable 3pt. 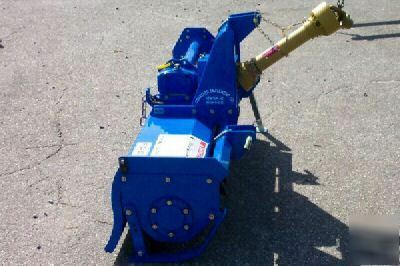 clevis hitch with a HD category 4 driveline protected with a 6" friction disk slip clutch. 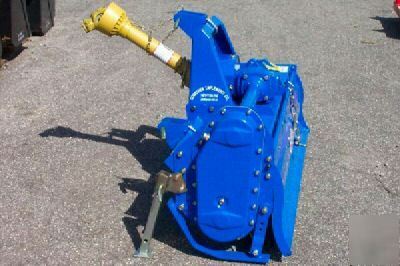 This tiller has 6 large tines per flange and has a maximum 35 PTO horsepower gear box which has a 3 year warranty and is driven with a #80 chain. 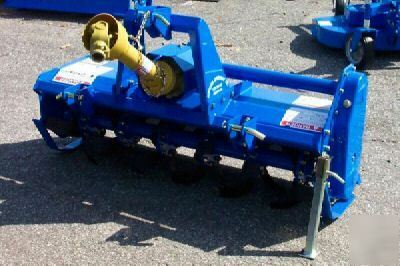 This tiller has a tilling width of 44".